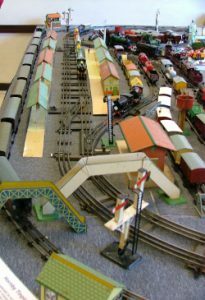 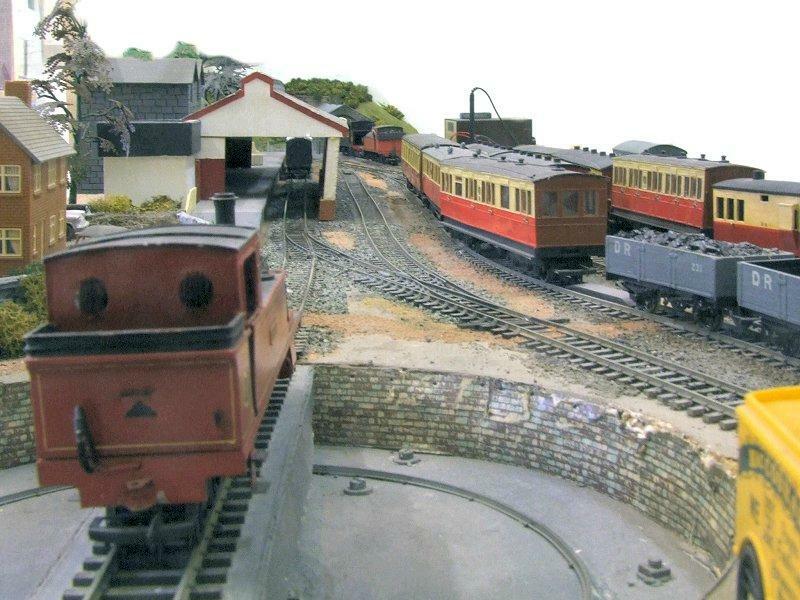 A variety of beautifully constructed models in various scales, some of which can be seen working, also tell the story and give an insight into how the railways were. 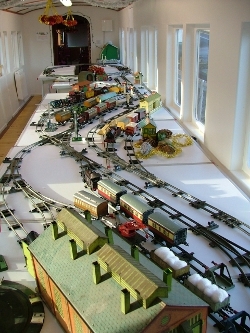 Hornby Clockwork show layout running the length of restored Coach 58 in December 2013 for the Santa days. 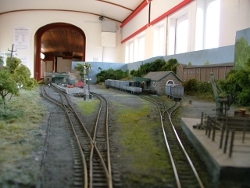 Working model of Donegal Town station in 4mm scale. 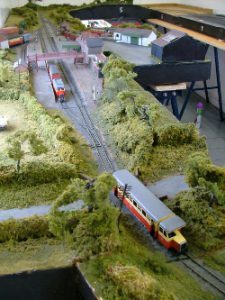 Working model of Letterkenny in 4mm scale in Coach 58 during a show. 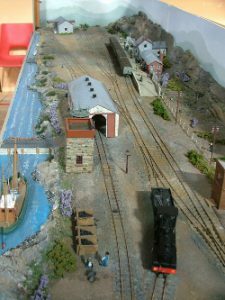 Overall view of 4mm scale model of Donegal town. 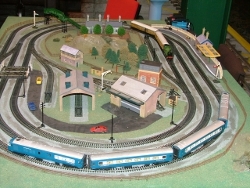 Rare Tri-ang Blue Pullman train on the Hornby OO Shop Layout at a recent show. 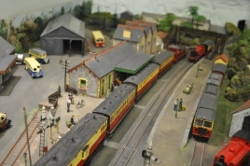 1930s Hornby display layout at Dublin Show in 2013.